It's August! 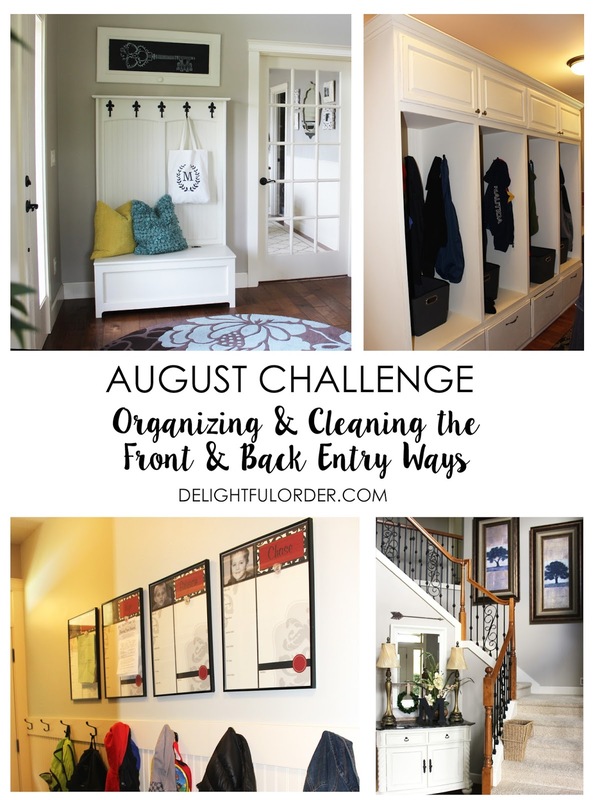 Which means, if you are following along with the Delightful Order Monthly Organization Challenge, we are focusing on getting our front and back entry ways organized and cleaned up this month. Organize shoes, getting rid of ones that don't fit. Organize jackets, scarves, etc. getting rid of ones that don't fit. I sell many child message center digital designs in my Etsy Shop, right here. They are sent to you via email as an instant download. 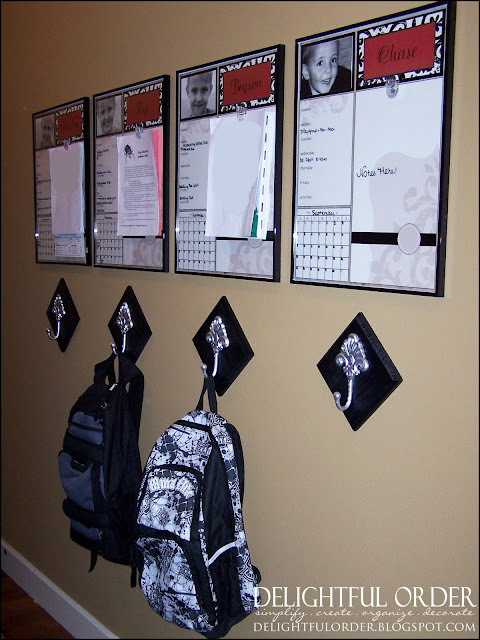 Simply print your message center at your local photo print shop and frame it under glass to get you and your children organized for the school year. If you'd like, hot glue a clip to the glass to hold important papers, homework, reminders, invites and more. I have used this system for about 5 years now and I still totally LOVE it! I just need to update my wall and add one more message center, since I've had another boy since originally creating this section. Have a great month bringing Delightful Order to your entry ways! My entry way so need a facelift. Actually my whole living room does! !